This cardigan has been a long time in the works. Well, the actual knitting didn’t take very long but I had intentions for about five years! How very satisfying to finally get down to it. 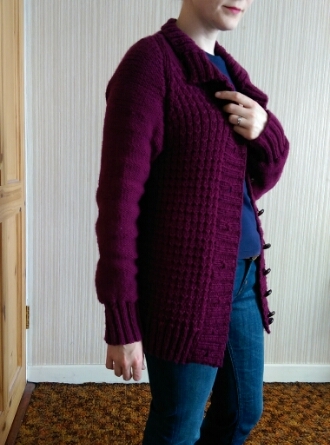 Pattern: Dark and Stormy by Thea Colman. Yarn: Berrocco Ultra Alpaca that I bought in Chicago in… 2008? It doesn’t feel like that long ago but it was six years. I had 7 skeins and I think I only used about 5. Maybe 5 and a bit at the most. I really enjoyed knitting this! I stalled out at the very beginning some years ago when I first cast on because the set up is a bit fiddly. 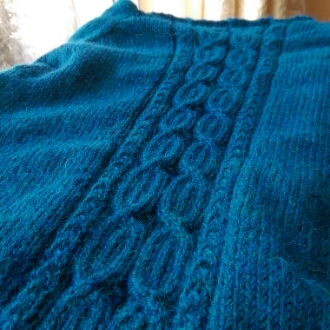 You cast on at the top and work down – it’s basically a top-down raglan – and you have to establish the cabling. The beginning is definitely not TV knitting. Once you get going, though, it is. The raglan shaping is not totally straight – it’s staggered to give a better shoulder shape. 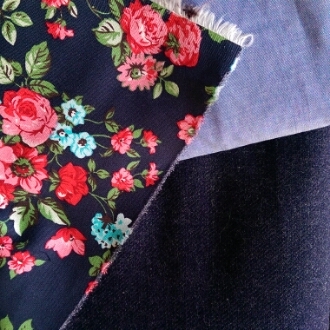 I wish I had measured a little more conscientiously because I could do with a bit less fabric there. It fairly bubbled out, actually, when I had finished, but I was able to steam it into submission. I adore the cabling down the back. This is a seriously warm cardigan, thanks to the alpaca. 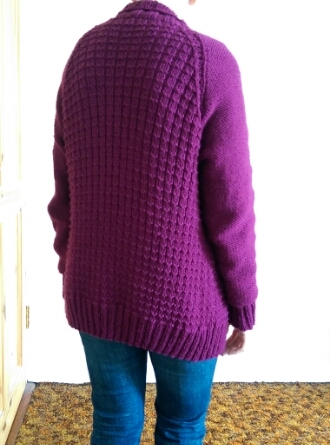 I really like the colour of the model in the pattern and think it would be a more perennial wear if worked in something a little less smothering like merino. Also, whilst I think mine looks fine now, I wonder about how defined my cables are going to stay, given the beautiful but massive halo of the alpaca. Buttons courtesy of my first ever visit to the Knitting and Stitching show! They may even pre-date the blog. I remember buying them and thinking how perfect they were. Sure, it might have taken me ten years to knit them a cardigan but the chain of destiny can only be grasped one link at a time, amiright? It’s that time of year again! After a glorious Indian summer, I think it’s safe to say that Autumn is well and truly upon us. Autumn and winter are my favourite seasons in Dublin – we often get dry, clear air and long dry periods. Spring can be bitterly cold here and summer is frequently heavy, cool and humid. So I’m ready to enjoy my favourite season! Things have been busy, going back to school (I teach evenings, 20 hours a week) and starting a chamber music residency. The residency is fantastic, but time consuming, and involves traveling to Galway once a month. So far this has entailed getting the first train down, playing for 2 hours and then getting straight back on the train. I hope for the next session, Alb will come with me and we can stay over a day or two. Anyway, there’s been plenty of knitting! I’ve been working on a cardigan. This guy is deep stash. The yarn is Berrocco Ultra Alpaca and I bought it when I was in Chicago in…2007? I think?! The pattern is Dark and Stormy by Thea Colman and I actually casted on for it years ago. It sat there, with the needles and everything. Thankfully my gauge hadn’t changed! I finished the sleeves yesterday and just need to pick up for the shawl collar. I love it already. 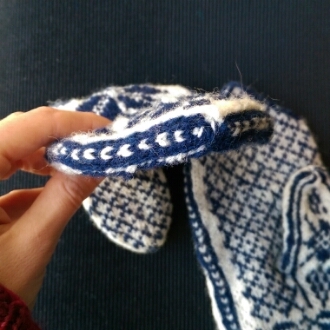 The yarn is a beautiful colour blend – it has traces of blue and red throughout so I think it will match many things. 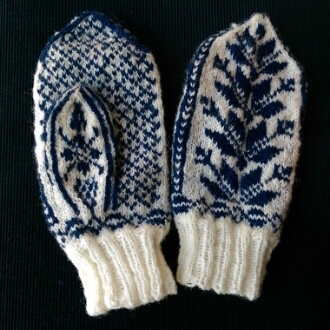 Recently completed is a new pair of mittens! I really like the decreases on the tops! I have some knitting for men to do next but after that, I really want to do another deep stash sweater! Here it is! I’ve been wearing it every day since I finished it, barring today because it’s just too warm (inside). The pattern is a Brooklyn Tweed one, called Tinder, from an old Wool People edition. The yarn is the Rico Essentials superwash in Aran weight. I think I used about 12 balls. The buttons, like I mentioned before, I had already in the box. I looked the last time I was in Hickey’s, though, and they still sell them. 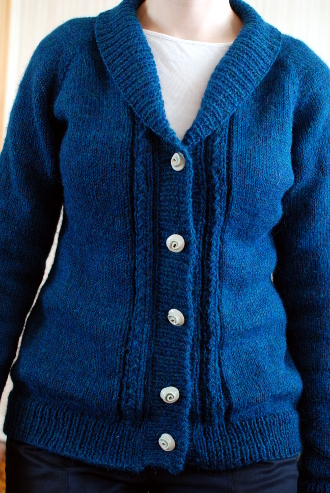 Raglan sleeves are not the most flattering on me but for a cardigan like this, I don’t think it matters hugely. The potential for SNUG is huge! Overexposed! Sorry! 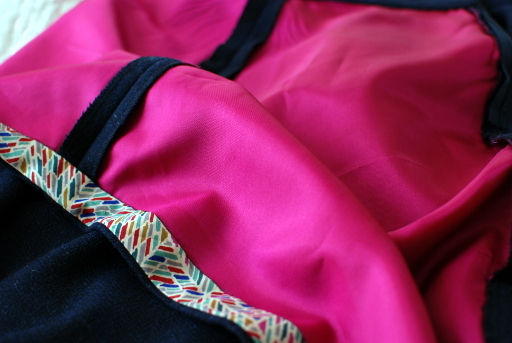 But this shows the stitch pattern nicely and also the drape of the back when it’s left open. This is knit from the bottom up. 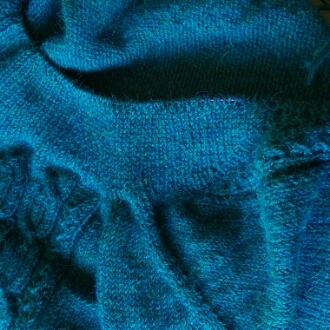 So, rather than working silly reverse stockinette, I knit the sleeves plain in the round and turned them inside out before I seamed them to the rest of the jumper. Other than that, I made it totally as per the pattern. 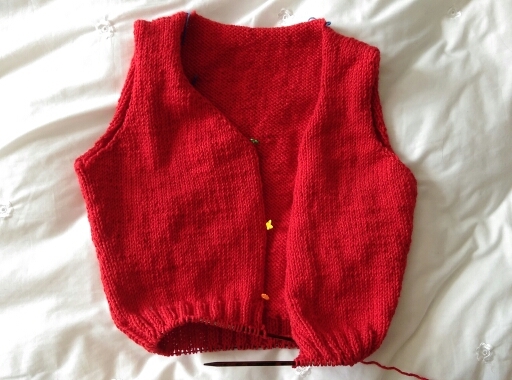 I finally got down to it at the weekend and reworked my numbers for my red cardigan. 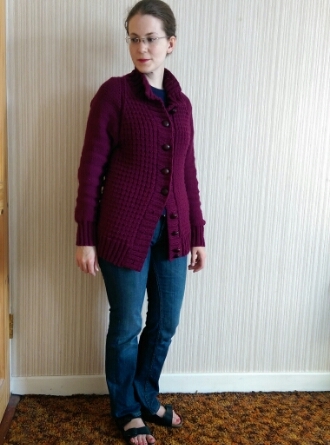 An ill wind, I suppose, as I decided that a cropped V-neck cardie would get the most use, as opposed to my original plan of a longer sweater. I’m being supremely lazy and just knitting this directly off the old sweater. None of this ripping out business! Sure, it may grow one hundred leagues when I wash it, but what is life without a little suspense?